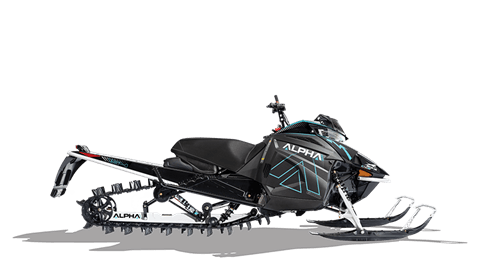 INTRODUCING THE REVOLUTIONARY ALPHA ONE SINGLE-BEAM REAR SUSPENSION: A giant leap forward in backcountry performance. 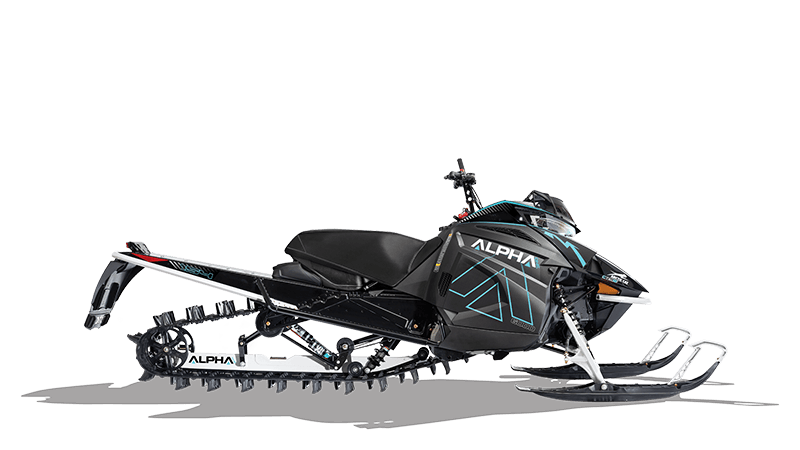 Arctic Cat’s revolutionary single-beam rear suspension system allows the track to flex with the terrain and performs incredibly in deep powder. It’s also super lightweight, making it easier to handle. THE EXTRUDED ALUMINUM BEAM: Hollowed box support system with magnesium attachment points resulting in minimal parts and a lighter machine. SINGLE PIVOT POINT: Allows the track to bend and conform to the snow–whether you’re on a side hill or flat surface, or straight up in powder. REDUCE CARRY WEIGHT: While other machines can accumulate snow equal to their rear suspension weight, the single-beam’s simple design virtually eliminates snow accumulation that would otherwise weigh you down. NEXT-GEN POWER CLAW TRACK: Designed specifically for the Alpha One, this track features centered windows to align with the beam. And aggressive 3.0″ paddles with a 3.5″ pitch provide a fantastic snow-gripping power with the flexibility to maneuver almost effortlessly. 6000 2-STROKE ENGINE: This 599cc 2-stroke Dual-Stage Injection (DSI) C-TEC2™ power mill kicks out 125-class horsepower and is the product of a world-class engine assembly plant – ours. The electronic oil pump can accurately meter fuel/oil ratios not only by RPM, but also by altitude, dramatically reducing oil and fuel consumption. Whether you’re riding a ZR an M or a Crossover, the 6000 is one of the most satisfying engines ever to be cradled in the belly of a snowmobile. ARCTIC MOUNTAIN DRIVE SYSTEM: The Arctic Drive System features CVT drive and driven clutches for a combination of smooth shifting, optimal performance, maximum durability; great serviceability; and reduced weight. The drive clutch features a roller bearing on the shaft that enables an auto-adjusting belt tension design and delivers consistent performance without manual adjustments. It also features a 12.5 percent lower effective starting ratio (while maintaining the top ratio) for smoother engagement and reduced belt wear at drive-away speed, with more evenly distributed force for lower belt pressure. It’s a design that’s unique to Arctic Cat. HAND CONTROLS: Select 2019 models feature easier-to-use handlebar-mounted controls, with improved ergonomics, that transmit information on the digital instrument gauge while riding. Toggle the display screen on the gauge with just the push of a button. Momentary-style hand- and thumb-warmer switches provide more heat level settings and also prevent unintended setting changes. VERTICAL STEERING POST WITH 3.5" RISER AND MOUNTAIN HANDLEBAR: Want to counter-steer on steep hills? This 3.5″ vertical post provides a more natural handlebar turning arc when you’re riding standing up.